Forty percent of American college students are now age 25 or older. While this may be the “new normal” of higher education, meeting the needs of adult students has been a struggle for colleges built around green lawns and four-year cohorts that more or less stick together. Some adaptations for adult learners are obvious. Evening, weekend, and online classes make it easier to manage other big responsibilities like kids and jobs. But adult learners want more out of college than just flexible schedules: they need curricula with strong connections to careers and a clear return on investment. We see this in adult students’ choice of major: according to the Georgetown Center on Education and the Workforce (CEW), learners over 30 are disproportionately likely to pursue “career-oriented majors” in healthcare or business, whereas younger students are more inclined to the humanities. And while some younger students see college as a way of finding what they want to do for work, most adult learners are already working, and looking for a quick path to their next promotion or raise. According to a 2016 Pearson poll of adults enrolled or considering enrolling in college programs, 72 percent felt further education was necessary just to keep up with technology. For institutions serving adult students, delivering high-quality programs that match employers’ needs can mean rethinking both the content of programs and the credentials that graduates take with them. 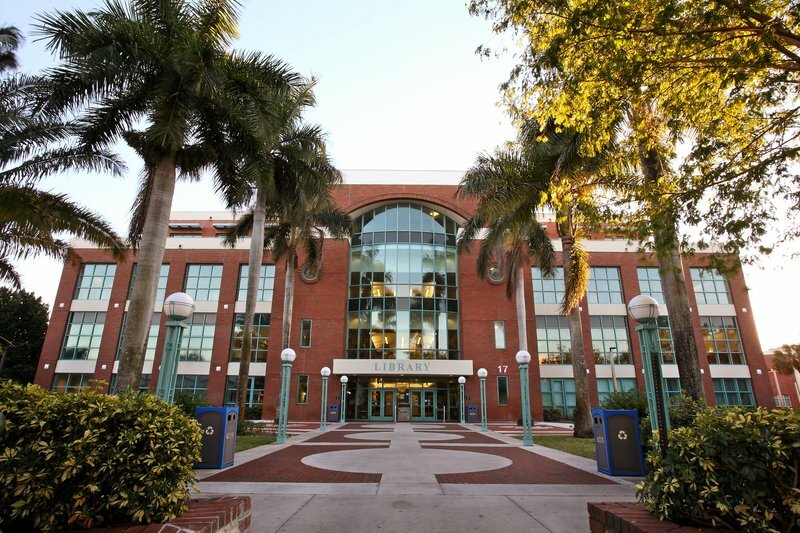 Broward College in Fort Lauderdale, FL was featured last month on Washington Monthly’s list of the twelve most innovative colleges for adult learners for its work in building programs that allow students to earn valuable industry certifications along the way to an associate’s or bachelor’s degree. Incorporating industry and academic credentials that each indicate their own type of skills, multi-credential pathways like Broward’s provide a new way to satisfy adult learners’ economic aspirations, providing the short-term resume boost of an industry certification alongside the long-term career utility of a credit-bearing academic credential. Credentials are how we signal what we know to schools and employers, and they’re an especially important part of the conversation about educational innovation for adult learners. Lately, non-degree or “alternative” credentials have grown in popularity for two big reasons. The first is that bachelor’s degrees are now often too expensive to attain in one four-year stretch – gone is the idea of “working through” one without debt. The second is that a bachelor’s degree alone doesn’t command the same respect it once did. A 2015 survey from the American Association of Colleges & Universities found that 59 percent of college graduates considered themselves well-prepared to “apply knowledge and skills to the real world”; only 23 percent of employers agreed. Still, the bachelor’s degree is the gold standard: Americans who have one earn about 84 percent more money over a lifetime than those with only a high-school diploma, according to CEW. Neglecting either the academic or the technical component of a college education puts students at a disadvantage in the job market. In that sense, Broward uses its “embedded” industry credentials in much the same way that some learners use MOOCs and bootcamps: to gain technical skills that stack on top of degrees, signaling job-readiness and hopefully making it easier to land a job. Washington Monthly singled out several certification efforts at Broward College, but the school’s most interesting work has come out of three grants made through the TAACCCT program, a Department of Labor initiative supporting community college innovations that benefit adult workers in today’s skill-hungry economy. All TAACCCT grants are intended to support Trade Adjustment Assistance-eligible workers – those vulnerable to losing work from global trade competition. Broward’s most remarkable TAACCCT initiative – and perhaps the most fitting to the spirit of the program – is its leadership of the multi-state LINCS consortium, which focuses on training the next generation of supply-chain management (SCM) professionals. Supply chains have existed for as long as trade has, but “supply chain management” as a professional discipline has only been around since the 1980s, becoming a full-fledged buzzword in the ‘90s. Though many of today’s SCM job postings require bachelor’s degrees, in decades past relatively few practitioners of “transportation and logistics” or “material resource planning” would need one. Instead, they’d find work through a combination of experience, personal connections, and – once established in the field – an industry certification earned from one of the field’s professional associations. The value of those certifications hasn’t diminished. Industry certifications still testify to an SCM professional’s ability to develop and manage the intricate processes that global procurement and supply depend on. What certifications can’t demonstrate are the general skills that make for a solid long-term employee and teammate: communication, critical thinking, and cultural awareness. These are the “soft” skills that an applicant for a job working with large, contingent networks of suppliers and vendors, increasingly spread across the world, will need to show. For proof, employers still look overwhelmingly to the traditional degree. Broward had a simple solution: bring the credentials together. By embedding in-demand certifications from a major SCM industry association into its degree programs, Broward delivers a program whose credential combination is more than the sum of its parts. Embedding certifications and other industry credentials represents a potentially transformative new strategy in light of employers’ increasingly sophisticated skills demands and their diminishing faith in the conventional bachelor’s degree. The technical skills embodied in an industry certification are amplified by the general skills represented by a college degree, and vice versa. If the degree-certification combination can be so valuable for people attending college to move up at work, why not let all students earn degrees and certifications simultaneously? If Broward College’s work with new-normal adult students is any indication, more and more institutions may soon do just that.